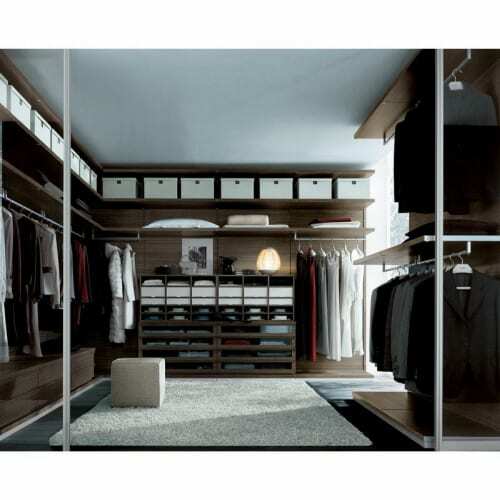 Ubik is a walk-in closet from Poliform that creates a systematic way to organize that room in the home. The system uses shelving, containers, drawers, hangers, and separators to create different types of closet storage thereby creating an organizational strategy. One of my favorite elements is the extractable shoe rack. This is a great way to store shoes and yet provide a method for decision making when planning an outfit. The drawers can come in wood or glass finish providing different options depending upon the look that you desire. Like most walk-in closet systems, pricing depends on the size and options.